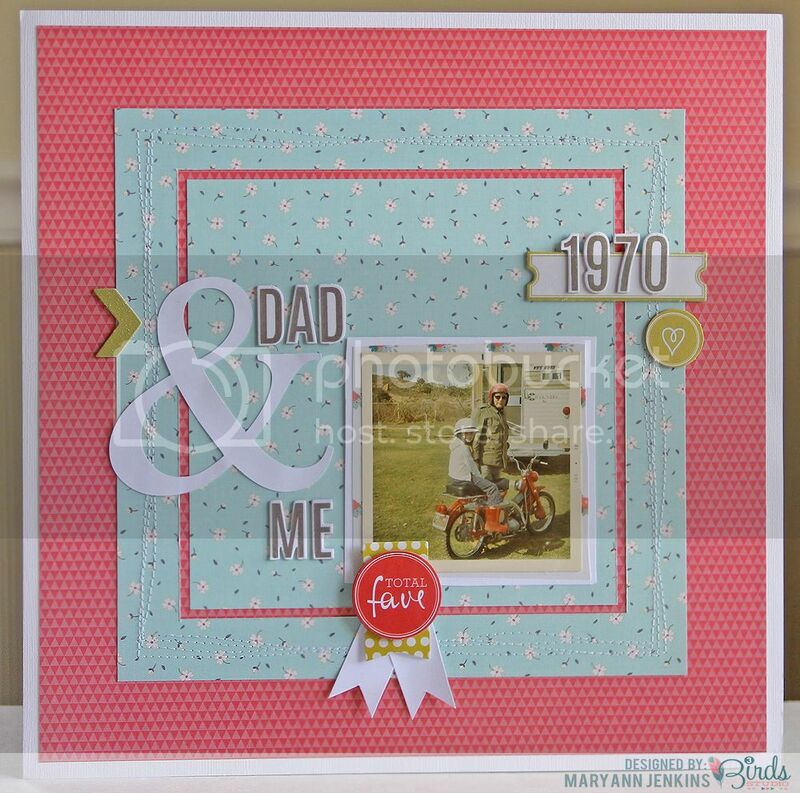 Here's a new layout that was up on the 3 Birds Studio blog. It's another heritage layout, but this time it's my dad and me in the photo, way back in 1970. Sometimes when I'm scrapping an old photo I'll do a bit of color correction if the photo has faded or the color has changed, but with this one I embraced that 70's look and matched my embellishments to the green-ish tint of the picture. The papers and embellishments are all from the Graceful Season collection by 3 Birds Studio and is available exclusively on hsn.com. Well, the weekend is almost here, it's time to relax and enjoy! This is gorgeous, Mary Ann! Love the colors. Beautiful as always. I love the color combo and page design. How sweet! I like the squares on this. And the stitching. What an awesome page, love the stitching and color scheme! What a fabulous layout and that picture is awesome!! 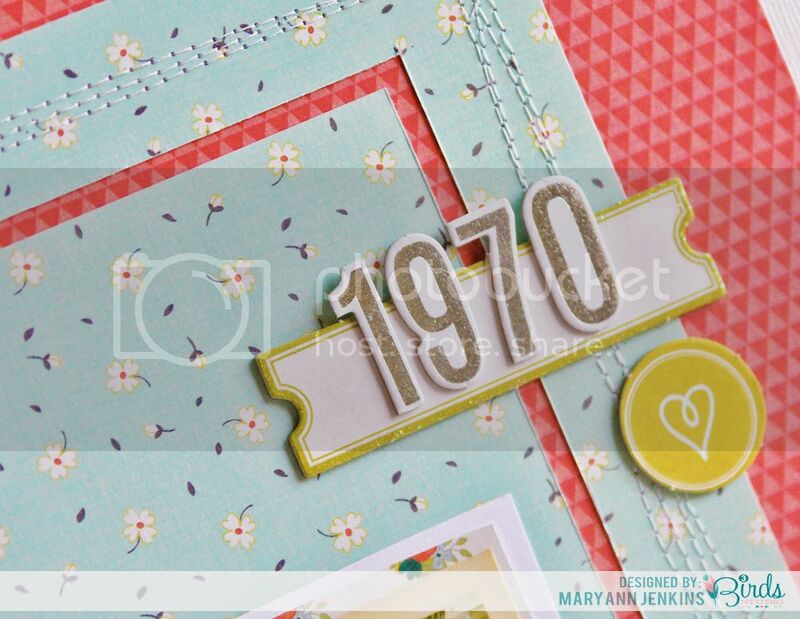 Love the contrasting colors on this one, Mary Ann!! This is so gorgeous!! Love the "simple" design, the colors and that photo!